What the hell is this? – Read This First! February 20, 2017 January 14, 2019 ~ Mike K.
room bloggers to follow in 2019! Understand our grading scale. We’ve established what we think is a pretty comprehensive rubric, so you should check out how we score the different sections and how the overall total score relates to a recommendation. Look for discount codes to local companies. Click the Need a Rec menu, and a link to our Discount Codes page will appear, or search along the right navigation for discount codes. Let us know if any of them do not work. Use the search feature on the right to search keywords/terms/phrases for the entire site. 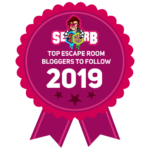 Use the Sort Rooms by Geographic Location drop down on the right side below the Escape Room Discounts codes to narrow the rooms we’ve reviewed by State and City. Not a native English speaker? You can use the Translate feature on the right at the bottom. If you like a page or post, use the handy dandy social media icons located at the top of the page to share to your favorite channels. This is a business run by two guys (Jason and Mike) from Alexandria, VA (originally from New York, and Pennsylvania, respectively) who have developed a very unhealthy addiction to (or obsession with) Escape Rooms. What started as an innocent social activity with a group of friends snowballed into a monthly (or twice-monthly… or thrice-weekly) habit. After telling people about the rooms and recruiting others for our “team” (Disturbed Friends), the light bulb turned on and we decided to start reviewing all of the rooms we’ve done, and offer consulting services for companies that create and run escape rooms. 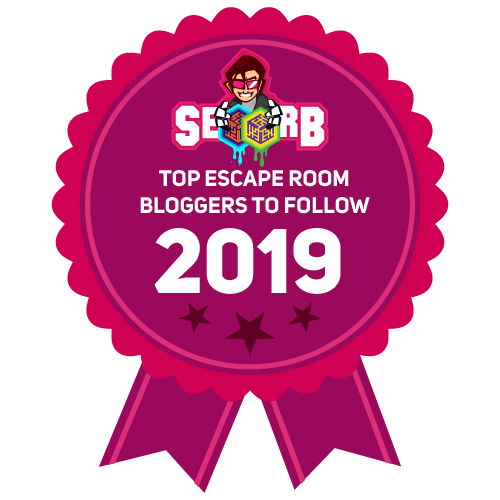 Check out each of the pages to understand how we came up with the concept, how the reviews are scored, some tips and tricks on how to get the best experience for doing a room, and a bit more about the Escape Room Guys (ERG). We’ve added in many tags so you can sort by the types of themes, the companies, the ERG top rated rooms, and our top rooms by ERG (Jason or Mike) by rating and by favorite room. Need your daily dose of snark in short, easily digestible content? Follow us on Twitter! Not a reader? That’s okay. We have a bunch of pictures on Instagram. Want to see our professional side (our more subdued page) or network with us? Follow our LinkedIn company page here. You like videos (not THOSE kind of videos, sicko – well, we haven’t found an escape room with THAT type of theme yet)? We have a YouTube channel for your viewing pleasure. Additionally, we are available for hire in acting as mystery guests (for training new Game Masters), play testing rooms before they fully open, and to consult on theme/clue/puzzle development, or to provide an in-depth analysis of the room.